It’s a crazy time of year in Palm Springs, California. From the Coachella Music Festival to simply perfect weather, hundreds of thousands of people are headed to the area to vacation and get away from it all. But why confine yourself to a hotel room? 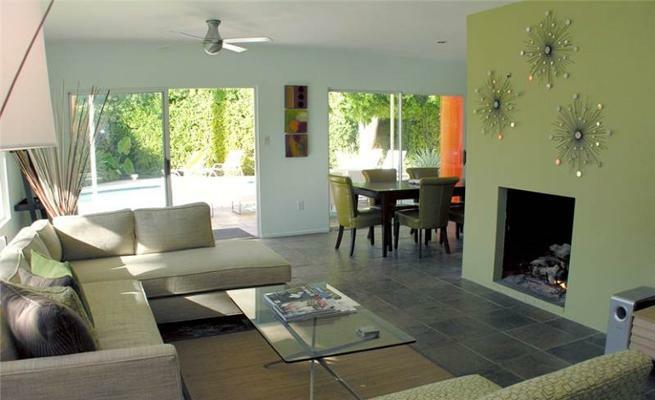 A vacation rental is the perfect option for a weekend, or a few weeks, down in Palm Springs! We have an array of luxury options still available throughout the month of April at Zaranga.com. Today we are featuring three of the absolute best. 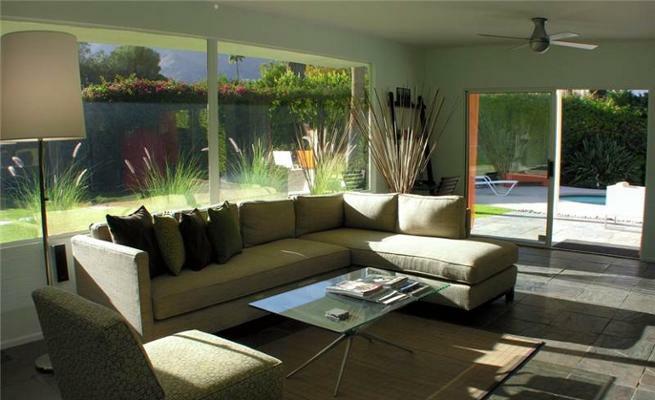 Deciding was nearly impossible, so make sure you check out ALL of our Palm Springs Vacation Rentals here. 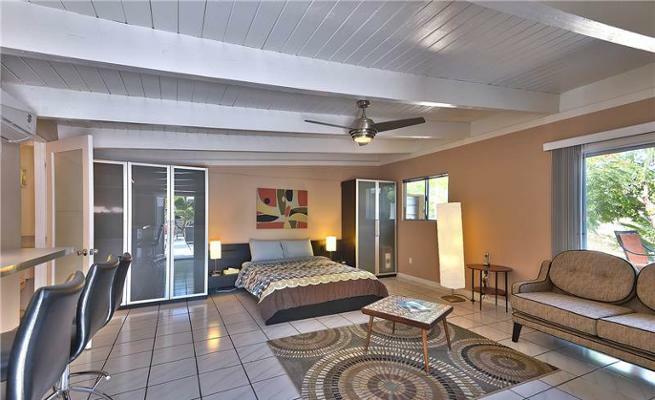 This two-bedroom, two-bath mid-century resort-style home located in the Deepwell area of Palm Spring is just minutes from downtown. This stylish home features a completely hedged private yard, with expansive lawn area, pool, and covered patio, and it’s great for entertaining! From the time you enter Magical Palms you will experience the reason it is named ‘Magic,’ from the breath-taking views of Mt. San Jacinto and the romantic glow of palm trees against the night sky with lights that highlight over 25 palm trees at night. The living room has an open-air feel with some of the best mountain views directly from your sofa. Also from your sofa, view the 50″ plasma TV or enjoy the CD/DVD stereo with indoor/outdoor speakers. 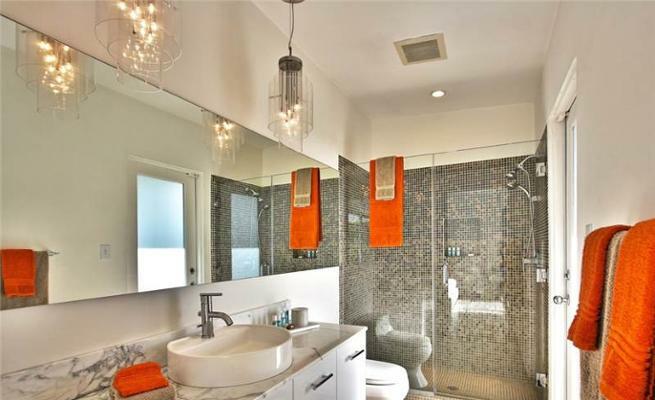 The property features two master bedrooms each having their own bath and private patio. The kitchen has been updated with a wine cooler, gas range, side-by-side refrigerator, mosaic tiles, upgraded finishes, microwave/stove combination, and dishwasher. The pool can be observed from the kitchen and dining room. 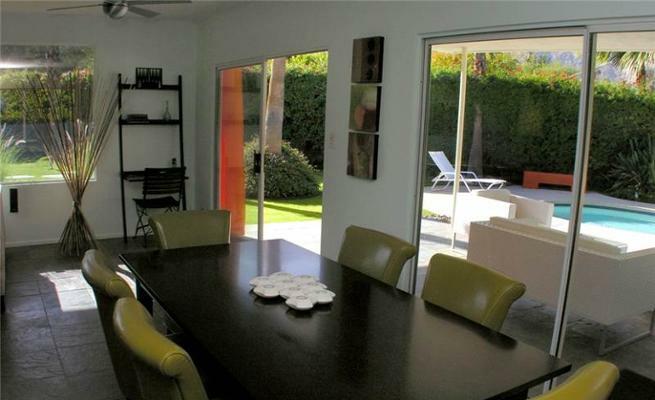 Located in El Rancho Vista Estates, this gorgeous three-bedroom, two-bath mid-century modern home was designed by Donald Wexler in 1959 and renovated in 2010. The residence includes a private in-ground pool, a hot tub, a sunken fire pit, and an outdoor BBQ. Indoors, guests will enjoy the air conditioned living room, dining room and kitchen complete with cable TV, internet, WiFi, and full-size washer and dryer. Kitchen comes stocked with plates, glasses, silverware, knives, cooking utensils, pots, pan, a coffee maker, a toaster, a mixer, a blender, and more. 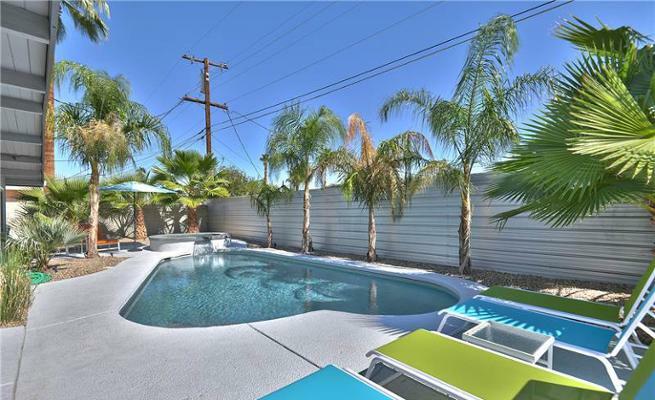 The home is minutes from downtown Palm Springs restaurants and shopping, including Jake’s, Cheeky’s, Tropicale, El Jefe, Tinto, Workshop and more. The residence is located in Palm Spring’s El Rancho Vista Estates, the first of the Wexler & Harrison residential subdivisions. Developer Roy Fey, a former Chicago accountant who came to the desert and developed a small real estate empire, built it. He saw the potential Southern California Modernist architecture had in the emerging post-war housing market. 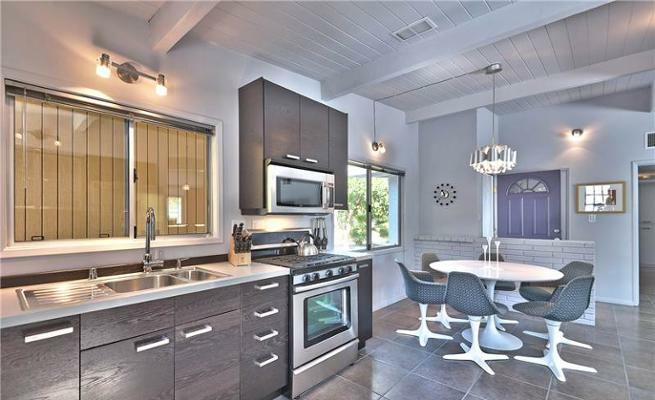 This beautifully remodeled mid-century modern pad is within walking distance to Demuth Park, which features public tennis courts, a playground for the kids, and much more. Everything is brand new in this stylish, modern home, except for a few vintage pieces thrown in for fun. Walk through the gate from the driveway and you will enter a private oasis, completely remodeled and ready to enjoy. 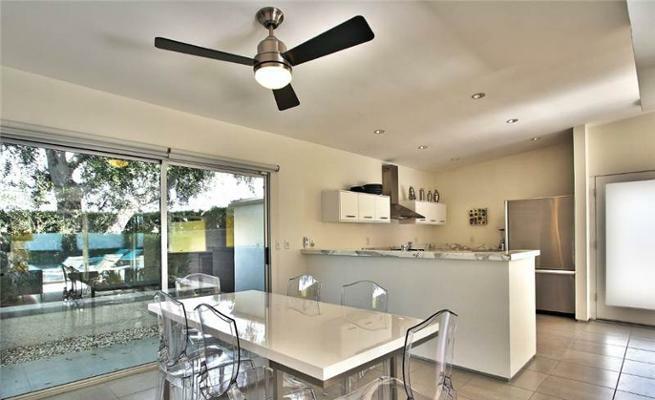 The main living area offers HDTV with surround sound, comfortable mid-century inspired furnishings, and is open to the dining area and kitchen for easy entertaining and hanging out together. The kitchen is fully stocked with everything the chef could ask for. And it all opens out to the sparkling blue swimming pool and spa in the completely private back yard, featuring gas barbecue and plenty of seating for everyone. The main house offers a master bedroom with private bathroom, as well as two additional bedrooms and a guest bathroom, all with comfortable new queen-size beds. The large private casita is detached from the main house and has it’s own full kitchen, HDTV, seating area, and queen size bed.